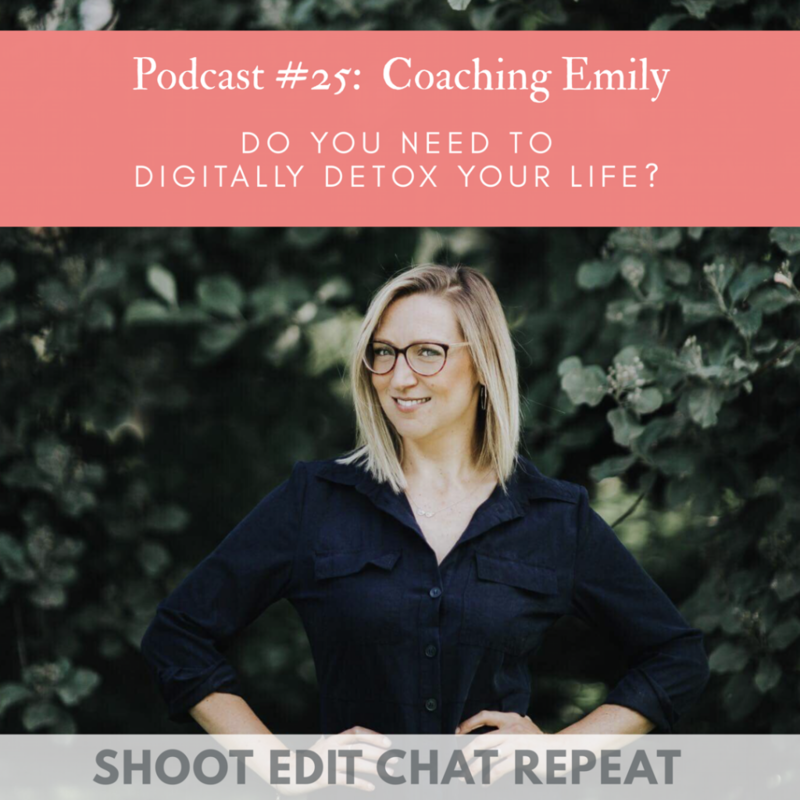 #25 Coaching Emily: Should you digitally detox your life? We invited Coaching Emily back onto the show for a second time as you all loved her so much in her first episode in Series 1 (episode 3). As photographers and business owners, we have to spend a lot of time in front of screens, not only editing but also with all of the marketing and admin that comes with running a business. We know lots of you struggle with this and we wanted to find out from Emily if we need to digitally detox our lives. We have a really interesting conversation with Emily about our screen habits and how to change them for the better, we hope you enjoy it! Thank you to The Design Space for sponsoring this episode. Click here for lots of free information about how to be the boss of your own website and for 20% off all their products. You can see Coaching Emily's website here. Please support the show by purchasing products and services using the businesses we love on this page.